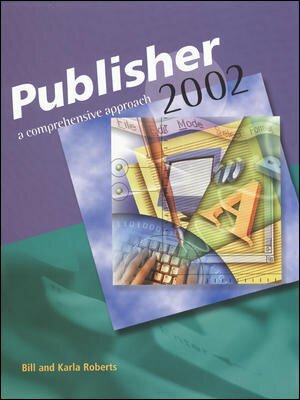 Publisher 2002 covers the basic features of Microsoft Publisher 2002. By working through this tutorial, students will become knowledgeable and empowered users of this unique desktop publishing tool. After completing this tutorial, students will be able to create attractive and well-designed publications—from invitations, to flyers, to newsletters, to Web pages. They will be able to print publications and prepare files for printing by professionals. 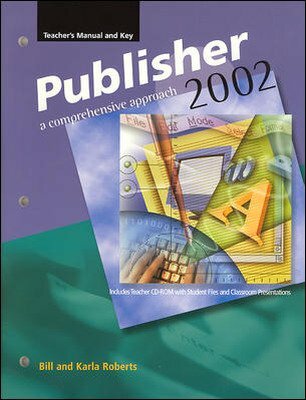 Publisher 2002 covers a range of functions and techniques. It includes good design principles to help students build publications that are visually appealing. Each lesson provides hands-on opportunities for practice and application of skills. The tutorial proceeds from simple to complex, allowing students to build skills at a practical pace.